Description: According to the SheaMoisture website, "This non-greasy butter-cream defines with taming frizz and flyaways for smooth, bouncy curls. 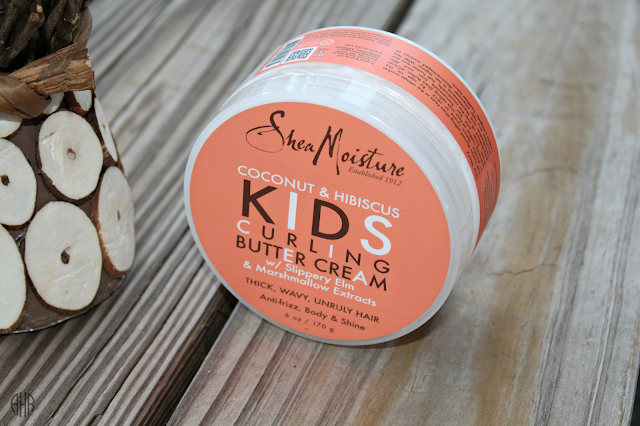 Keeps children's thick tresses shapely and resilient with a soft, shiny hold." Directions: According to the SheaMoisture website, "Scoop a small amount into palm. Apply with fingers and gently work through hair from root to ends. Style as desired." This is my favorite moisturizer hands down. This product says it's for kids but it is not just for kids!!!!! It's for curly hair in general. The main ingredients are what drew me in with this product. 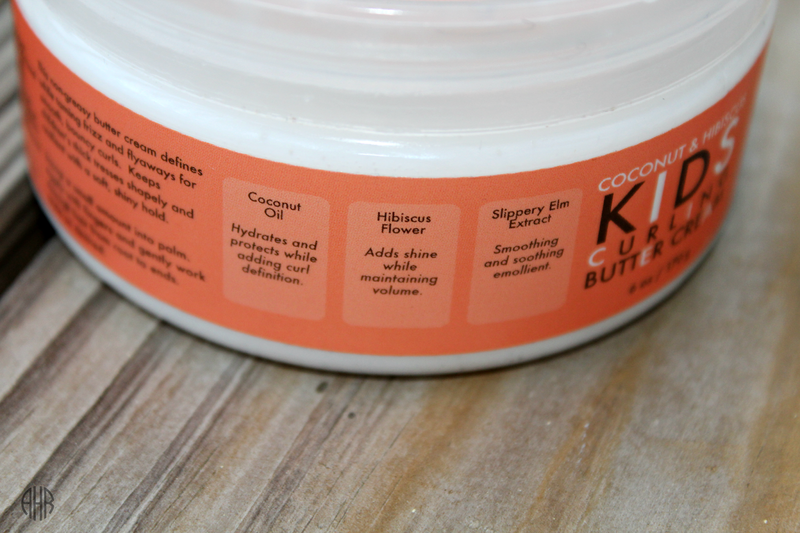 They include coconut oil (which helps moisturize hair), hibiscus flower (which adds shine), and slippery elm extract (which helps detangle). 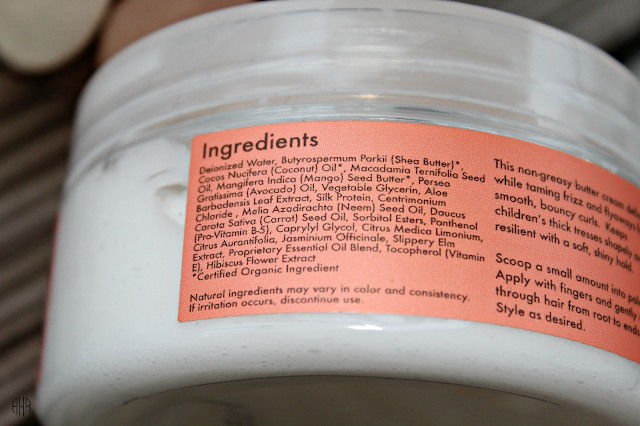 Unlike the SheaMoisture Curl Enhancing Smoothie, it doesn't leave a film or residue in your hair over time as with my experience with it. I can definitely say that this product moisturizes my hair very well from root to tip. It clumps my curls and leaves my curls soft to the touch. Because of this cream, I finger detangle with ease now. I think that has something to do with the slippery elm in it. On wash days, I simply mist my hair with water and finger detangle with ease. Also, I love the smell of this product. It smells a lot better than SheaMoisture Curl Enhancing Smoothie in my opinion. It has a coconutty floral smell that I enjoy. I only can smell it in my hair when my hair is damp but not other time. On the contrary, I could smell SheaMoisture Curl Enhancing Smoothie all the time in my hair. Also, the consistency of this product is very thick and creamy. 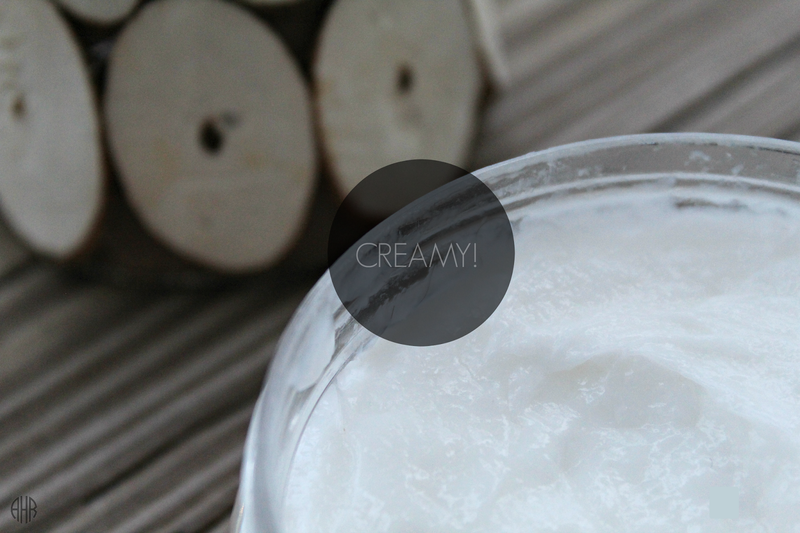 When grabbing some of the product out of the jar, the cream is very slippery and has a slimy texture. On the downside, I do use up a lot of this stuff. I go through a jar of it every month. It's very easy to use too much of it because it's in a jar and my hair is very thick as well. 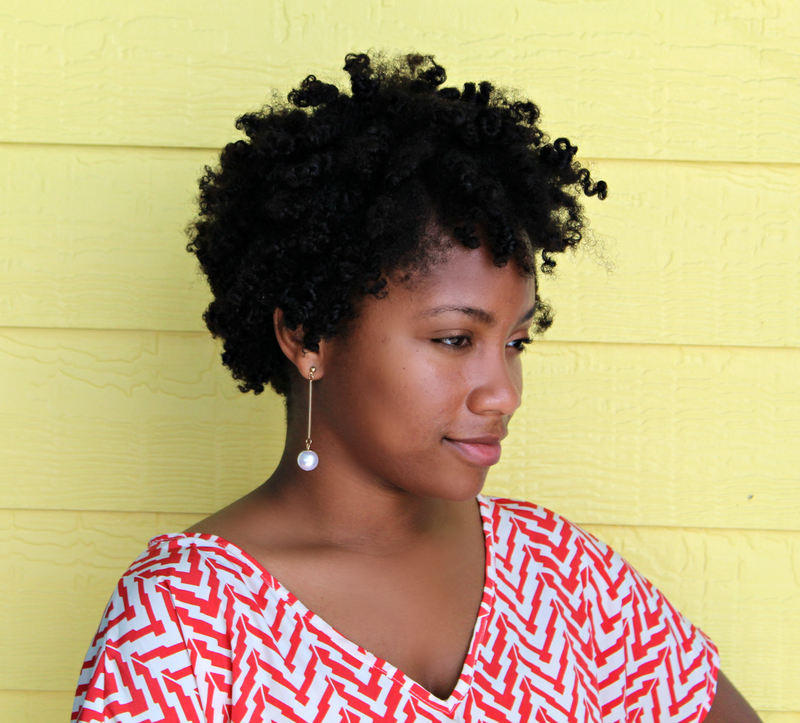 Its consistency is slightly less thick than the SheaMoisture Curl Enhancing Smoothie. Also, this purchase or any purchase of Shea Moisture products helps empower women who are endangered. SMELL: Lightweight! No strong overpowering smell. Smells like coconut and sweet florals.